Thank you for using the Bilbao Greeters service! 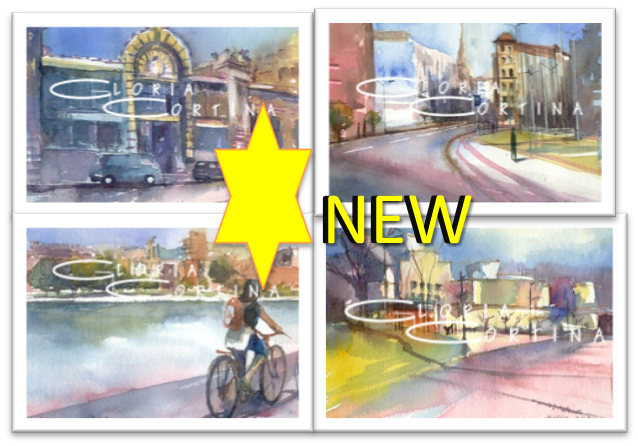 We would like your comments and your suggestions to ensure and improve the quality of Bilbao Greeters. Please add other comments on how we can improve the Bilbao Greeters program. All contributions will help us continue these excellent greeter services. Push here for make your donation. Thans for your help! Please let us have your comments on our service : When I first contacted you, I really didn’t know what to expect. In all my years of travel, I have never encountered an opportunity like this. Since my husband doesn’t travel anymore, I am always looking for the chance to really get to know a city, and that only happens by walking…which I do alone. It was also nice she informed me in the email that the Guggenheim museum would be closed on that day so if I wanted to see it, it would have to be on another day. After I was contacted by Marivi personally by email and her offer of services, I was intrigued as to what would actually take place. I knew that I wasn’t a shopper so I really hoped that she wouldn’t take me to shops where she would get a commission on my purchases. And the day of meeting! Promptly she arrived and ready to have breakfast with me. That was a nice change since many of my meals while traveling are eaten alone. She told me about the schedule for the day and the planned route; all was also subject to change. During our walk Marivi spoke about her family (which is something I always ask about), and I felt that for the day, we were best friends. That is truly what I will remember most about Bilbao…Marivi. The information provided on the Bilbao Greeters website is for two to four hours (if memory serves correctly). A quick glance at my watch after nearly six hours really was such a shock to me. The time had passed all too quickly. I really believe Marivi enjoyed sharing her city with me. My family and friends don’t really travel, so I would never have the opportunity to tell them about Bilbao Greeters, but if you have travelers interested in a tour provided by a Bilbao Greeter, please don’t hestitate to have them contact me personally. I would be happy to provide an endorsement. Please let us have your comments on our service : Good experience all around. Guide Abueliz was very well informed and enthusiastic, as he took us to several unique areas and buildings that we may not have been inclined to visit on our own. (The wine storage building in Bilbao was one). We are very pleased to make a donation on the “Greeters” web page. Thank you and good luck. Fecha de la visita:: 31 eneroPor favor déjanos tus comentarios sobre el servicio:: El paseo fue muy agradable. Aprendimos varias cosas sobre Bilbao y tuvimos intercambios muy intéressantes con Marian. Hemos decidido quedar en contacto. La inciativa de Bilbao Greeters fue una manera sentirnos un poco comme habitantes de esta ciudad original que es Bilbao. El hecho de tener pequeos mensajes para acogida, Navidad y regreso es muy simpatico. Gracias. Please let us have your comments on our service : I really had a great time with Lupe in Bilbao. The day before I was scheduled to meet her for our walk in Bilbao I was sick and very weak. I therefore took contact with her and she showed to be very sympathetic and sensitive towards my condition and adapted the tour, making it less stressful. Lupe is an open, friendly, enthusiastic and generous person, and it felt like being on a walk with a good friend. We walked around the city and she showed me spots that I would have hardly found on my own. She is a knowledgeable person and it was extremely interesting for me to question her on many aspect of life in Bilbao and in the Basque country. She even sent me an email after our walk to inform me on timetable of buses and was always very supportive. I really appreciated using this service which I would without doubt warmly recommend to anybody who has enough time to spend on such a tour. Please let us have your comments on our service : We had a terrific time with INigo. He took us around and showed us different parts of Bilbao. He also talked about the past and the history which was interesting. He took us to both the old parts and also the commercial parts of the town. He was very informative and shared personal stories and experiences with us. He had prepared our visit and it was a lot of fun to meet a local! Please let us have your comments on our service : Daniel was very informative, friendly, and we had a great time around the city. Thanks for taking us to an awesome bar to eat (Gure Toki) and showing us really great parts of the city. Wonderful experience. Please let us have your comments on our service : We had a lovely time with Esti. She was extremely friendly, showed up parts of the city we otherwise wouldn’t have seen, and got a sense of what it is really like to live in Bilbao. Gracias por todo!!! Please let us have your comments on our service : We had a wonderful morning with Jose Maria, a very friendly and knowledgeable gentleman. We found his retelling of Bilbao’s history very enjoyable and interesting and he showed us little snippets of the local area that we would have otherwise missed. His energy and enthusiasm was boundless and his great love of the Basque country was very evident. Please let us have your comments on our service : We had a wonderful time with Daniel, who showed us some interesting parts of the city in the afternoon (the station, different districts and theri architecture) and was very knowledgable about the history of the city. In the evening we joined Daniel again to drink wine and eat pintxos and talk about food, drinking, and Spanish and British culture – it was brilliant! Many thanks to Daniel for his time and we hope to meet him again one day! Please let us have your comments on our service : We thought inigo was great. He was really friendly and adaptable to what we wanted to see and do. Please let us have your comments on our service : Miren was a fabulous guide. Highly recommended. She was very informative about Basque culture, art, and cuisine. Please let us have your comments on our service : It was a fantastic introduction to the city. Marietta is very warm and was very enthusiastic and helped us plan our time including day trips out of Bilbao and advised how to get around without a car. We recommend this service totally. Should be available in every city! Please let us have your comments on our service : We feel very fortunate to have met Ander as he said that he only volunteers about 5 times per year. We like the concept of the “Greeters” as it helped us better understand the culture of the local people. At no time did we ever feel that Ander was reading from a script. It was more like old friends from different backgrounds out for a walk. A highlight of our holiday! Excellent!!!!!! Please let us have your comments on our service : Daniel was a great host, and showed us around town. We particularly enjoyed sample the pixtos, which were delightful. Please add other comments on how we can improve the Bilbao Greeters program. : It is running well. Por favor déjanos tus comentarios sobre el servicio:: Era mi segunda visita a Donostia, la iniciativa greeter recién inaugurada allí me daría la oportunidad de conocer la ciudad más de cerca, según lo vivido antes con la propuesta de Bilbao Greeters. Les escribí, respondieron. Esta vez, la encargada de ponerle voz y gesto amable al paseo fue Lorea. Desde los correos iniciales, el diálogo fue fácil y grato. Pasaia sería el lugar a visitar, pero hubo mucho más. La preocupación por los detalles, el acercarme referencias literarias e históricas, la explicación de los distintos barrios a medida que nos alejábamos de la ciudad, el uso del transporte público, el tiempo compartido en la taberna, las fotos que tomamos, la información que brindó en cada momento del recorrido, todo enriqueció aquella mañana. Destaco y menciono aparte, la paciencia con que respondió a mis preguntas sobre frases y vocabulario en euskera, y la naturalidad con que generó distintas situaciones de uso del idioma. Hubo encuentro, gusto por mostrar el lugar y compartir su cultura. Visité Pasaia, conocí a Lorea, aprendí alguna frase más en euskera, dan ganas de volver: es el efecto greeters. Eskerrik asko! I cannot say enough about our tour guide Nuria. She is a truly special person and we wanted to take her home with us so we could hang out some more. Her knowledge and passion for everything Basque had us mesmerized. She was only able to meet us after work at 7pm which was not only impressive but perfect as we weren’t sure what we were going to do in the evening. She spent three and a half hours with us and took us into buildings and showed us things we never would ever have known about and I’m sure were not on other tours (the public library, the opera house while a show was going on etc…). What she had to say about all the places we visited brought the city and it’s people even more alive than before. She answered all of the questions we had from walking around the city all day without even having to think about it. We sampled tapas and she explained what we were eating and the history behind the custom. All we can say is WOW!!! Por favor déjanos tus comentarios sobre el servicio: Mi sincero agradecimiento y enhorabuena por tan excelente, cuidadoso y practico servicio. Nuestra Greeter Carmen Zarate nos ha sido tremendamente útil y nos ha ayudado enormemente en nuestra visita siempre atentísima y preocupada por enseñarnos todo lo posible, es una persona encantadora y ha hecho que nuestra visita a Bilbao haya resultado una experiencia inolvidable. Ya estoy recomendando el servicio a amigos que van a visitar Bilbao en breve. Por favor, déjanos otros comentarios con los que creas que puede mejorar el servicio: Todo ha funcionado perfecto no pudiendo aportar nada para mejorar, sino animarles a seguir con su magnifica labor. Please let us have your comments on our service : Hello The service provided by the Greeter website or admin office was very good. The greeter services provided by Marivi were excellent. She gave us a wealth of knowledge about your Bilbao. The information about the people history and architecture were so helpful. You. Could tell the greeter loved Bilbao. We think Bilbao was a favorite port for us and would like to return for more than a day. Three cheers for Bilbao greeters. Please add other comments on how we can improve the Bilbao Greeters program. : Just keep up this good work. We hope to come back and do another tour. Please let us have your comments on our service : I loved it! I’m very thankful you could arrange a visit for me, even when I ask just a day prior to my arrival. It was a truly amazing experience, and I would love to do it again, and if you ever organize this kind of program in my home country, I would love to be a Greeter. or even now that I’m living in Barcelona, I would love to show the city to those coming to visit it. Please let us have your comments on our service : Bonjour Une formule originale et vraiment très agréable, qui permet de connaître Bilbao autrement et surtout d’avoir le point de vue d’un habitant de la ville. Des astuces et des conseils précieux, ainsi que des bons plans. Merci à José Miguel pour sa sympathie, sa disponibilité et son professionnalisme. Bravo pour la mise en place de cet type de visite. Un tipo de visita original y muy agradable, que permite conocer Bilbao de otra manera y sobre todo tener el punto de vista de un ciudadano. Consejos y sugerencias. Gracias a Jose Miguel por su simpatía, su disponibilidad y su profesionalidad. Please let us have your comments on our service : Thank you very much for providing this service. I’m glad Abueliz was available on short notice, and he was very generous with his time. I saw Bilbao in a way I never would have otherwise, and I will be happy to recommend the city and the Greeters to anyone. Comentarios: Ya de vuelta en casa después de esta semana en Bilbao con motivo del campeonato de ajedrez Intercajas. Solo quiero plasmar mi agradecimiento a todos los Greeters de Bilbao por su dedicación para con todos nosotros. Sois los embajadores perfectos de vuestra ciudad. Animo y aupa Greeters !! Por favor déjanos tus comentarios sobre el servicio: Encantado con el servicio proporcionado por gente entusiasta de su ciudad y alrededores. El apoyo que brindan a los turistas va mas allà de los servicios profesionales de un guía turístico. Si quieres conocer a fondo la vida real de una ciudad, no sólo los Gugenheims de turno, contacta con Greeters. Personalmente desconocía la existencia de Greeters y a partir de ahora antes de viajar miraré de informarme de si estos “pirados por su ciudad” tienen presencia en mis nuevos destinos turísticos. Dificilmente conseguiréis con un guía turístico convencional haceros una foto con el mítico Chopo Iribar o con los campeones del mundo de pelota vasca como pasó con nuestro grupo durante nuestra estancia en el Botxo. Estos cicerones de Bilbao consiguen que te sientas , durante tu estancia, como un bilbaino mas. 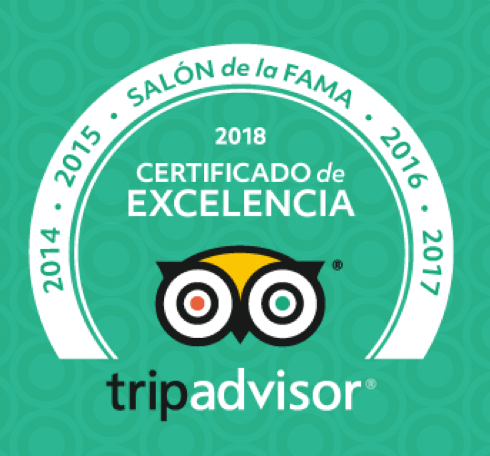 Por favor déjanos tus comentarios sobre el servicio: Nuestro tour fue excelente! Gracias a nuestra Greeter Marta pudimos conocer uno de los lugares mas agradable de Bilbao: Casco Viejo. Sin ella no hubiéramos podido enterarnos de esos pequeños detalles tan interesantes de la historia de la ciudad. A pesar de que solicitamos el servicio con poca antelación, Marta hizo todo lo posible por acompañarnos. También nos aconsejó sobre qué otros lugares vistar y además, cómo aprovechar mejor el transporte público. Agradecemos inmensamente por hacernos sentir bienvenidos en Bilbao! Les deseo mucha suerte y éxito a todos los Greeters! Por favor déjanos tus comentarios sobre el servicio:: Recorrido muy interesante por bilbao junto a un gran greeter, amable, atento y espontaneo. Mi visita a Bilbao ha sido mucho mas rica gracias a la mañana que comparti con asier. Todo un acierto esta iniciativa, y a seguir asi! Por favor déjanos tus comentarios sobre el servicio:: Una sorpresa muy grata el conocer una parte de Bilbao (fuera del recorrido típico) a través de Marta. No pensamos que íbamos acompañados por una guía sino por una amiga que con cariño nos mostraba su ciudad y aquellas partes que son menos conocidas pero que igualmente llaman la atención. La experiencia ha sido tan fantástica, ha dejado tan buen sabor de boca que aquí, en Valencia, la he comentado/hemos comentado ya a quien me quiera/nos quiera escuchar!!!! y por supuesto, he recomendado que si se animan, contacten con Marta quien no defraudará y hará sin lugar a dudas que la experiencia sea tan magnífica como la nuestra. Encantada y un placer haber podido conocer Bilbao “de otra manera”. Muchísimas gracias Marta. Un abrazo desde estas líneas. Por favor déjanos tus comentarios sobre el servicio:: Carmen nos abrió puertas que no habríamos encontrado sin ella: el funicular y los caminos arriba, el regreso en autobús (en vez de metro) desde Getxko, … Nos dio consejos cómo ver el Gugge, nos compró los tickets en un dos por tres, nos dio mucha información de fondo sobre Bilbao, también de sus propias experiencias en su larga vida. Nos entendimos muy bien con ella, y, a pesar de su edad, no se cansó en descubrirnos algo nuevo. Muchas gracias por habernos asignado Carmen como guía / greeter. Muchas gracias también por el rápido y buen trato de todo vuestro equipo. Vamos a recomendaros a nuestros amigos que vayan a Bilbao. Please let us have your comments on our service : We thoroughly enjoyed our time spent in your beautiful city of Bilbao. Our greeter Marivi was excellent. She spent at least 4-5 hours with us and took us anywhere we wanted to go and really showed us the sights of your city from a natives perspective, which we rellt appreciated. She also got us used to using the public transportation system to get around. She did such a great job, we came back the next day and did some more touring on our own. We would definitely use the greeter service again…what a wonderful idea! I sent some photos already, not sure if you got them. Please let me know and I can send again if necessary. Por favor déjanos tus comentarios sobre el servicio:: El servicio de Bilbao Greeters es estupendo. Arantxa fue muy amable en pasar el dia conmigo y en ensenarme un Bilbao que sin ella no habia conocido. Me senti parte de la cuidad con ella. Muchas gracias por esto. Por favor, déjanos otros comentarios con los que creas que puede mejorar el servicio:: El servicio que ofrecen es fenomenal y realmente lo de abajo solo son sugerencias. Los encontré por Trip Advisor por puro accidente. No se en que otro aspecto podrían aumentar sus conneciones or “marketing”. Si se relacion su organizacion con un “search” en las redas socials a todo lo que se refiere a Bilbao o a el Pais Vasco. Quizas si alguien le gustaria compania para tener un “guia” a otras partes del Pais Vasco con un aspecto mas amplio en lo que se refiere a tiempo y con una donacion fija para este servicio. Nuevamente gracias por la atencion que Arantxa me presto. Me hizo el viaje a Bilbao algo especial. Por favor déjanos tus comentarios sobre el servicio:: Mi madre y yo decidimos contactar a su organización porque deseábamos conocer la ciudad de Bilbao de una manera más informal y divertida. La verdad es que nos encantó la experiencia, la pasamos genial, aprendimos muchísimo y conocimos a nuestra guía que fue muy amable y simpática. Hemos estado comentando la actividad casi todos los días posteriores a la visita, el trabajo que realizan es muy especial y auténtico. Recomendaremos esta forma de conocer Bilbao a nuestros conocidos. Por favor, déjanos otros comentarios con los que creas que puede mejorar el servicio:: No tenemos nada que decir, todo nos pareció muy bien, sentimos que el servicio estuvo estupendo. Acabamos de intentar hacer una donación a través de la página, pero no nos resultó. No sabemos si el servicio está caído, volveremos a intentarlo. Please let us have your comments on our service : This was a wonderful service. Marivi helped us become oriented to Bilbao and provided us with orientation and information that was critical to our trip (she showed us where the train station was located and provided info about the upcoming general strike and how we could get to our next stop in our trip); how to buy train tickets, use the tram, and generally get around Bilbao. She gave us additional suggestions for tours available in Bilbao (of which we had our concierge book two additional tours). This was our first day in Spain and Marivi helped us immensely in becoming acclimated and more comfortable with being in a new and very unique country. The whole experience with her was excellent! Please let us have your comments on our service : Very good experience and perfect for someone who has never been to Bilbao. Miren was friendly and very helpful. In my case I think it was a little more tricky to plan a set of totally new sights to see as I had already seen much of the city but I think the service Bilbao Greeters offers is great and I would recommend her &amp; your company to others. Please add other comments on how we can improve the Bilbao Greeters program. : I have already suggested several ways of improving your advertising to Miren so I think it is worth you having a discussion with her. I think one of the main positives of Bilbao Greeters is that it is not too commercial and you don’t feel that a place is recommended for business purposes. Please don’t change that. Por favor déjanos tus comentarios sobre el servicio: Daros la enhorabuena por el estupendo servicio que prestáis. Las cuatro personas que tuvimos la suerte de ser atendidas por Zorion quedamos encantadas. Solo puedo decir cosas positivas de nuestro recorrido por Bilbao y quiero dejar constancia de lo contentas que quedamos con la ayuda de Zorion. No solo estuvo con nosotras ese día sino además otro, en el que nos encontramos con él y siguió enseñándonos otra vertiente distinta de Bilbao con la misma simpatía y detalle que ha tenido desde que se puso en contacto con nosotras por correo electrónico. Sin más, daros nuestro más profundo agradecimiento por la atención recibida y pedirte que le digas de nuestra parte a Zorion que no podemos imaginar mejor guía y que esperamos volverlo a ver. Si algún día necesitáis que os enseñen la ciudad de Málaga, estamos a vuestra entera disposición. I am now back in my little village Crolles, to the north of Grenoble in France, after a very pleasant stay in your beautiful city of Bilbao. I had a good time at the 3-day conference for English teachers (TESOL Spain) where I gave a conference (the reason for my visit), but I enjoyed myself even more during the 4 days we spent together. Thanks to your association Greeters–Bilbao I met some wonderful people, who were all very generous and enthusiastic about showing their city to tourists. Yes, you impressed me immensely with your knowledge and skills at conveying to others what makes your city so outstanding when it comes to architecture, art, landscape, culture and atmosphere. I especially appreciated the fact that you organized a meeting for me with a group of very dedicated English teachers and you took me out in the evening for a tour of the bars after the victory of Bilbao’s football club Athletic over Manchester United! I truly believe the work of an association like yours Greeters–Bilbao enables people to really understand each other. Instead of just taking people around in a tourist bus and having them listen to a speech delivered through a microphone, you personalize your tours showing people what they want to see, what they are interested in, giving them individual attention, indicating on maps what they are seeing or what they could see if they took a train or bus to the surrounding area. It is important for people to get to know each other and to see that we all have the same concerns and we are all very similar although different through our cultural background and language. For me it was a wonderful experience for not only did I learn a lot about your city, its history, its traditions and its development, but also I had an opportunity to practice my Spanish. It was an authentic immersion into the language of Cataluña and the Basque country with lots of moments of shared feelings and intense laughter. I hope you will get the support you deserve from local authorities. I also hope that hotels, restaurants and shops will work with you in the future. It is marvelous that you offer your time free of charge taking people around, but there must be fair compensation for all the efforts you make. I wish you much success in the future and convey to you all my sincere thanks for an unforgettable stay in Bilbao. Buenas!!! Ante todo muchísimas gracias a Bilbao greeters y a tí en especial por habernos soportado esas cuatro horillas. Todas las ciudades tienen su encanto y tú nos has enseñado aún más de cerca la de Bilbao. Aquí en Gran Canaria no existe a día de hoy, una iniciativa igual; pero como ya te dijimos en persona, si por algún casual vienes a Gran Canaria nos gustaría que te sintieras tan acogido como nosotros no sentimos en Bilbao. Solo ponte en contacto y te recibiremos al más puro estilo Canario. El frio que hizo este fin de semana en Bilbao nos congelo por completo, pero cada momento tiene su encanto. Seguramente volveremos a Bilbao, ya que nos quedo pendiente de irnos de potes,jejejeje. Y quien sabe si la próxima vez toca entrar a la Catedral del Fútbol. De nuevo darte las gracias, y desearte unas felices fiestas y un buen año en todos los sentidos. Por favor déjanos tus comentarios sobre el servicio: La visita me encantó, porque me permitió conocer la ciudad desde dentro y sobre todo a través de los ojos de dos personas que aman su tierra y te transmiten esa pasión. Conoces el otro lado de la ciudad, otra visión, y no sólo la conoces sino que la sientes. Es una visita que se adapta a lo que tú quieres. Una experiencia intensa y enriquecedora conocer la ciudad de la mano de estas mujeres tan estupendas. Gracias por este regalito. Este proyecto también permite tender puentes y fomentar la relación entre personas de diferentes ciudades, porque al tratarse de una visita tan personalizada y con un clima tan cercano, se crean vínculos entre ambas partes, puede ser el inicio de nuevas relaciones. Mucha suerte y ojala este proyecto se extienda por otros lugares. Por favor déjanos tus comentarios sobre el servicio: El “servicio” fue fantástico. Siempre he pensado que la mejor manera de visitar un lugar es hacerlo con la gente que vive en él…¡ Y eso es lo que hacéis vosotras!. Por eso la experiencia me ha parecido estupenda. El ir conociendo las historias de la ciudad (la quinta puerta de la plaza Nueva) y los lugares que más nos interesan es un privilegio. así que ánimo y a seguir trabajando como lo habéis hecho hasta ahora!!!! Por favor déjanos tus comentarios sobre el servicio: Nuestras exquisitas y exclusivas greeters consiguieron que tuviéramos un “Happy Day” a la bilbaína. Tanto los lugares escogidos, llenos de historia y encanto (El Puente Bizkaia, el Paseo del Muelle de las Arenas y el Puerto Viejo de Algorta), como su inestimable compañía, con casi cuatro horas de interminable conversación, superaron de largo nuestras expectativas. Fue como visitar la ciudad con nuestras primas de Bilbao, dando un paseo divertido y entrañable. Muchas gracias a nuestras primas adoptivas Susi y Esther, por su dedicación, afecto y buen hacer. Por favor, déjanos otros comentarios con los que creas que puede mejorar el servicio: Aunque fue todo un detalle que las greeters nos recogieran directamente en nuestro hotel, quizá sería más práctico quedar directamente en el lugar donde se inicie la visita, por aquello de evitar los tiempos muertos en transporte público…por decir algo. Por favor déjanos tus comentarios sobre el servicio: En primer lugar muchas gracias a mi greeter. La verdad q lo he pasado muy bien, y da gusto conocer Bilbao de la mano de una persona q conoce tanto sobre la ciudad. Bilbao me encanto y seguramente voy a volver y no dudare en solicitar otra visita en bilbaogreeters. He comentado a todo el mundo sobre el servicio q ofrecéis y espero q alguien mas se anime a contactaros. También quiero felicitaros por la iniciativa y espero q se unan mas ciudades españolas. I had a wonderful time with you. I learned so much about your city, your personal experiences of your city’s history. I have shared much with my friends. I took my husband back to the restaurant and knew what to order, even the delicious dessert. As a person who never does tour guides, I love the concept of sharing your city as you would with a friend. My understanding of your culture, and my experience of your city is greater because of you. I am glad you had a link on the TA Conference page, or Karen and I would never have known about you. 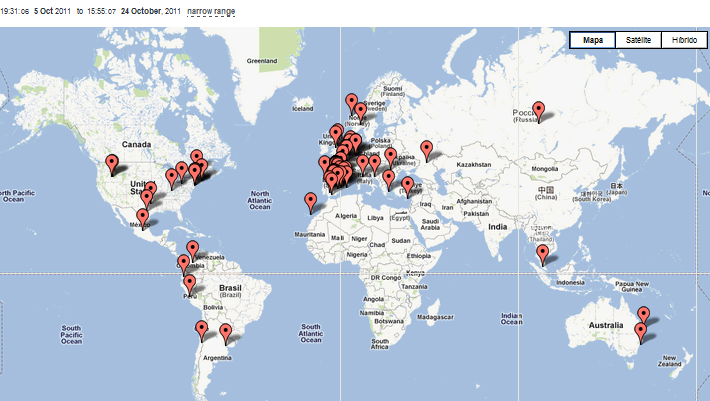 I have been on the travel page your city sponsors, and you’re not there. Hopefully, that will change. You are a highlight of our visit, we’re leaving tomorrow, and I will tell others about Bilbao and Bilbao Greeters. Please add other comments on how we can improve the Bilbao Greeters program. : People need to be able to find you! You need to be on the web page for Bilbao tourism. This was one of the finest travel experiences that I have had. I spent several days in Bilbao before I discovered Bilbao Greeters and was able to book a guide so I can tell you Bilbao is a dramatically different experience once you have been on this amazing tour. My professional and charming guide (J) demonstrated an astounding depth of knowledge about art, architecture, local and world history, culture, commerce, economics, politics and food. We spent a delightful 7 hours exploring every corner of the city with not a dull or awkward moment. J paid close attention to what I was interested in and tailored the tour perfectly including the perfect balance of information, humor and chatting. Not even the rainy weather dampened this experience in the slightest. SEE Bilbao with these folks, who will take you to the real pintoxs hotspots, show you the markets, help you navigate menus and business hours and culture and the winding, wonderful streets and history of Bilbao. There is no fee that I could have paid for the opportunity to experience Bilbao through J lifetime of learning and knowledge. Pay attention “powers that be.” I came to see the Guggenheim and would never have felt the need to return to Bilbao. Because of the way in which Bilbao Greeters helped me see and experience this city I want to come back again and again. If you are considering booking with Bilbao Greeters and the details of my experience don’t appeal to you (the length of time I spent or the topics) please be aware that they inquire as to what you are interested in seeing and doing. You can book for much different lengths of time and for your specific interests. I have to say that they went above and beyond to give me a guide that was a good fit, and that my guide went above and beyond to make the experience pitch perfect. There is not enough good that I can say. If I were as rich as the Guggenheim’s, I would sponsor “Bilbao Greeters” in every city in the world. This went beyond a great travel experience into the realm of a great life experience. Thank you so much.